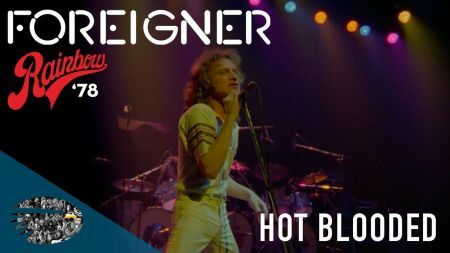 Foreigner fans with a yearn to see the classic lineup will want to check out newly posted footage of the multi-platinum sellers rocking through their early hit single “Hot Blooded.” The video is from the upcoming archive release “Foreigner – Live at the Rainbow '78,” which will hit shelves in multiple formats on March 15 via Eagle Rock. The “Waiting for a Girl Like You” hitmakers unveiled the clip on Feb. 8 via Facebook ahead of the launch of their Cold As Ice Tour, which kicks off with a two-night stand Feb. 22 – Feb. 23 in Vancouver, British Columbia, at Hard Rock Casino. 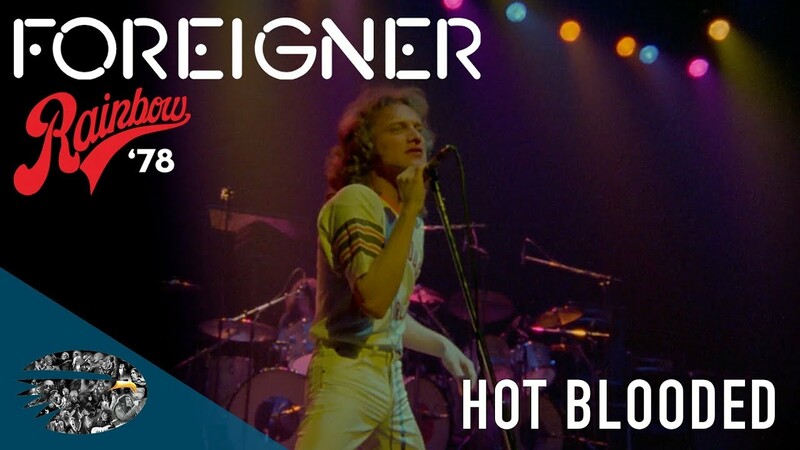 The rare live performance of “Hot Blooded” took place on April 27, 1978 in London at Rainbow Theatre and was an early showcase for the single and accompanying album Double Vision, which didn't hit shelves until June 20, 1978. “Live at the Rainbow '78” features 12 early Foreigner classics like “Cold as Ice” and “Feels like the First Time.” The concert film has been restored and remastered and is available for preorder here in digital, DVD and Blu-ray formats. Fans can check out the clip for “Hot Blooded” above and the official film trailer here. Following the wrap up of their winter trek through Canada, Foreigner will launch a spring tour of the U.S, which kicks off March 21 in Brookville, NY, at Tilles Center for the Performing Arts and includes a big stop on May 4 in Bensalem, PA, at Xcite Center at Parx Casino. Grab your Foreigner tickets right here at AXS and check out an exclusive video interview with Foreigner via this link.